Matthew Cohen focuses his research on ecosystem hydrology, and, in so doing, draws on the disciplines of engineering, environmental science, geology, chemistry, and biology. His work falls into three topic areas. The first focuses on the impacts of forest management on the hydrologic cycle, specifically on water quantity and quality. Water for human consumption is a global challenge, even in Florida, where rainfall is plentiful and aquifer resources are of unparalleled quality. As important are the constituents in the water such as nutrients and color, and their impact on human and environmental users. Inspired by a long legacy of forest hydrology, he and colleagues have sought to understand how forest management, specifically changes in tree density or fertilization, impacts the water resources of the state and the region. Recent work suggests that southeastern forests can be managed to enhance water yield, and that they naturally contribute to sustaining high quality water. These results support policies and incentives to help maintain and manage forested lands in a way that has conjoined benefits for wildlife and plant diversity, as well for human users of water resources. A second area of research focuses on geographically isolated wetlands, and their protection under the U.S. Clean Water Act. One of the emerging challenges is to quantify connectivity between wetlands and lakes and streams. This effort brings to bear new methods for measuring hydrologic connectivity, improved tools for measuring water quality effects, modeling tools that predict the timing and duration of connectivity, and survey techniques that allow us to understand how connectivity and isolation affect biological diversity. Together with a national working group focused on geographically isolated wetlands, he is seeking to better understand and predict the integrated functioning of watersheds so that we protect the Nation’s waters. Finally, his research focuses on the impacts of contamination of waterways by nutrients, a critical issue facing Florida and the nation. While nutrient impacts in lakes have long been well understood, a valid theoretical basis for understanding these impacts in flowing water does not exist; assuming rivers and streams behave like lakes can be profoundly incorrect. 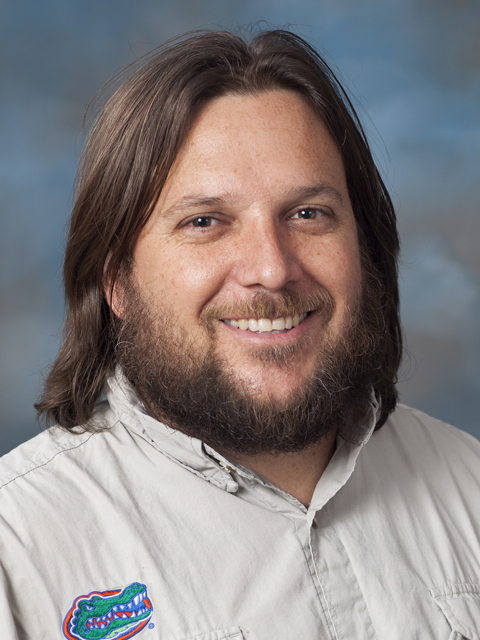 Continuing a long and rich legacy of studying Florida’s springs as model systems, and coupling that with emerging sensor technologies that enable dramatic improvements in our measurements of these aquatic systems, Cohen’s work is contributing to a new school of thought about rivers and nutrient contamination.